In 2008, the RSPCA commissioned University of Cambridge scientists to examine what facility design best enables ducks to carry out normal water-related behaviours. Updated RSPCA welfare standards were published in 2015, but Elwes says these have not been adopted. 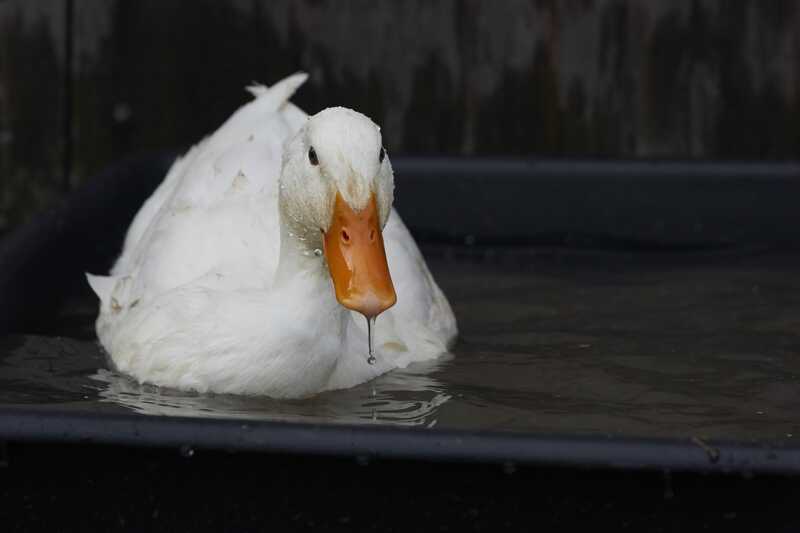 BPC Public Affairs Manager Shraddha Kaul states that over 90 per cent of the UK duck producers are members of DAS and confirms that these producers are providing head bathing water through troughs, wide-channel bell drinkers, baths or showers required under DAS. “The provision of water for bathing is meeting the needs of the birds as well as protecting their well-being,” states Kaul, adding that, “The BPC established the DAS in the absence of any UK or EU legislation. We’ve done the research into provision of water, stocking densities and welfare outcomes.” Elwes notes that it wouldn’t cost much to have troughs, wide-channel bell drinkers, baths or showers added to duck barns, but it would reduce stocking density a little. The liver pâté known as foie gras is made through the practice of gavage, where ducks and geese of about 12 weeks old are held and repeatedly force-fed twice a day for about two weeks through a pipe to enlarge their livers. There are reports that each bird is kept in a small cage during this period, with its head held permanently in an opening to make gavage easy and quick. Welfare concerns obviously relate to confinement, possible damage to birds’ throats and liver failure. Import of foie gras is banned in India, Australia and Argentina, and production is banned in the Czech Republic, Denmark, Finland, Italy, Germany, Luxembourg, Norway, Poland, Turkey, the UK, most of Austria and, in North America, in California (where the ban was unsuccessfully appealed last year). In 2012, some European MPs urged an EU-wide ban on production and sale, but no major push has happened since. 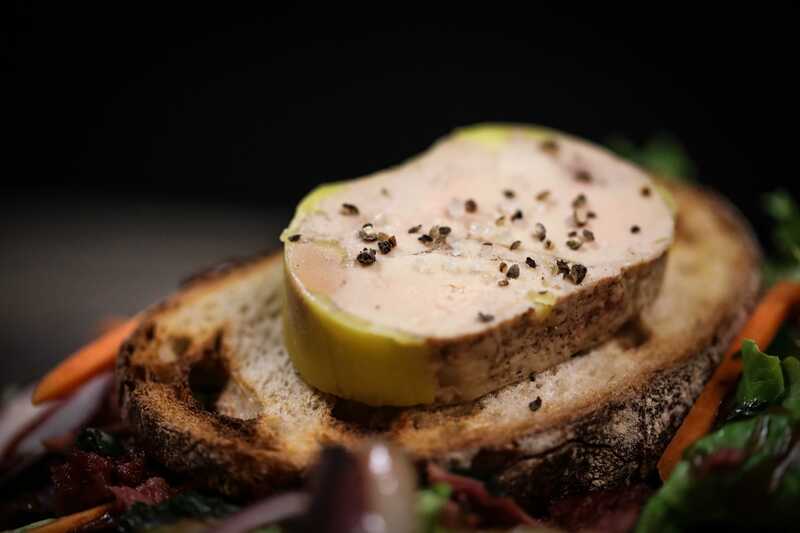 With an estimated 35,000 people involved in the industry in France and recognition of foie gras in French law as an important part of the country’s gastronomic heritage, it seems unlikely France would ever agree to a ban. The HSUS’s duck report states that the catching, crating and transportation of ducks for slaughter “may inflict physical injury and heat and cold stress, as well as cause fear,” and “that the slaughter process itself, from dumping and shackling to stunning and throat slitting, is traumatic”. Shields adds that US federal humane slaughter legislation excludes poultry, “so there is no legal protection for these animals at slaughter”. As of May 2018 closed-circuit cameras are required in every slaughterhouse in the UK, which Elwes sees as a positive step achieved after many years of campaigning that will, she hopes, make sure proper practices are employed. In terms of the future in the UK, Elwes says there may be an opportunity with the UK leaving the EU to get higher species-specific welfare standards put in place. She notes that the current government farm subsidies are based on how much land is farmed and that in the future the UK government may be open to tying the subsidies to higher welfare standards. Although touted as the world’s most efficient protein, poultry producers actually manage their flocks with very limited information.